Community workshops will be held in the Southern Downs region in April after a local government specialist undertakes an assessment of issues surrounding de-amalgamation. 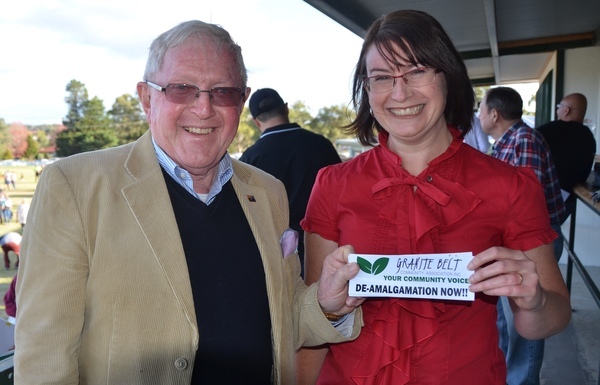 The Southern Downs Regional Council says independent consultant Greg Hoffman will undertake an assessment of both the Granite Belt Community Association’s de-amalgamation proposal and the Southern Downs Regional Council’s management review of the proposal. A council statement this week said Greg Hoffman’s assessment and review of key information will be presented to the community at workshops in Stanthorpe and Warwick in April. “Mr Hoffman will analyse whether any potential issues have been overlooked or not put forward in either the GBCA’s proposal or Council’s response,” the statement said. The council has previously stated that the likely cost of engaging external consultants to analyse de-amalgamation would be in the vicinity of $40,000. Deputy Mayor Jo McNally said the review and workshops will ensure both the proposal and Council’s review is independently evaluated and assessed, and that the community is given the opportunity to query both reports and raise questions and issues. Greg Hoffman was the Queensland Local Government Commissioner from 1992 until 1996 and is also the former Chief Executive Officer and General Manager of the Local Government Association of Queensland (LGAQ). The council says he has “extensive experience in the local government space, particularly in relation to reform, structural change, and performance and transition management. “In December, the GBCA’s report, ‘A new Granite Belt Council, a proposal to separate from the Southern Downs Regional Council’, was submitted to the SDRC and Queensland Minister for Local Government, Racing and Multicultural Affairs Stirling Hinchliffe,” this week’s statement said. “Southern Downs Regional Council senior officers and relevant staff reviewed the proposal and the response was presented at Council’s February General Meeting. Community workshops will be held at Stanthorpe Civic Centre at 6.30pm on Monday 1 April and at the Warwick Town Hall at 7pm on Tuesday 2 April, following the draft budget information sessions.